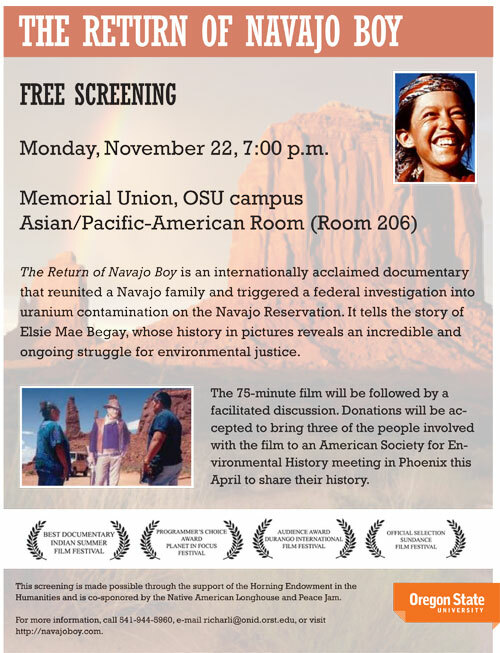 On Monday, November 22nd, Oregon State University will host a free screening of “The Return of Navajo Boy” in the Memorial Union building in Corvallis, Oregon. The screening will start at 7pm in room 206 and donations will be accepted to bring three of the people involved with the film to an American Society for Environmental history meeting in Phoenix next April to share their history. 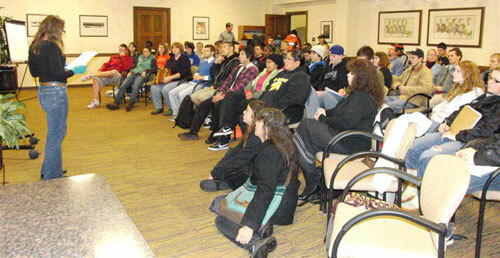 The November screening is made possible through the support of the Horning Endowment in the Humanities and is co-sponsored by the Native American Longhouse and Peace Jam. See the following flyer for more information, or a map to the building where the film will be shown.